Hello everyone!! 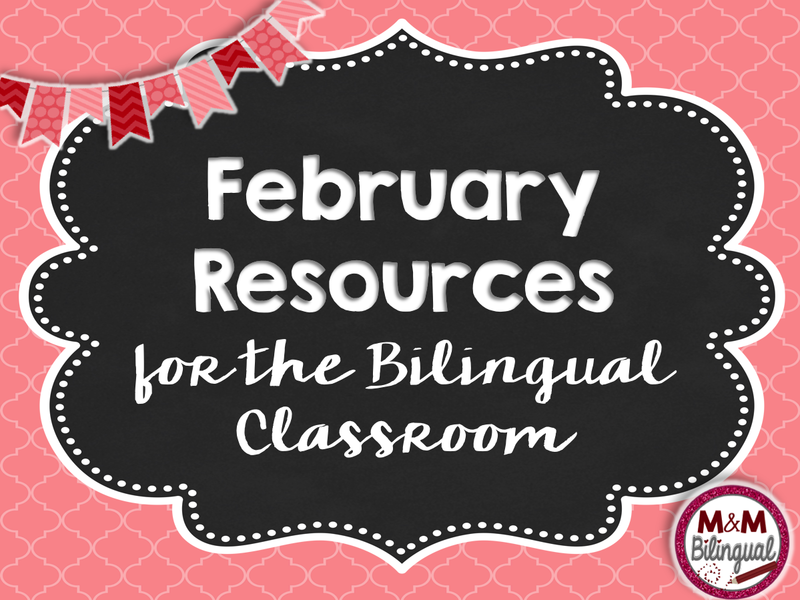 I am happy to be back with February resources to use in your bilingual classroom! 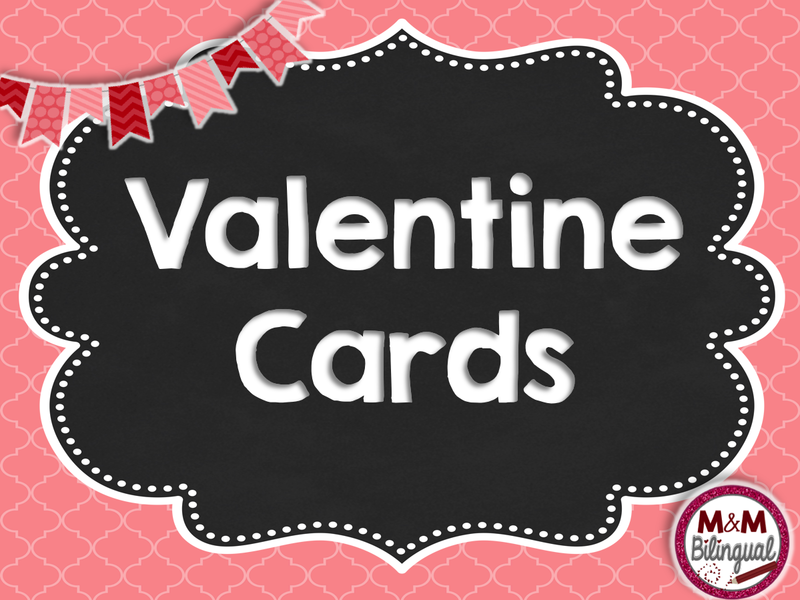 Students love to exchange Valentine Cards this time of the year and get excited about the cards and candy they receive. However, I wanted to make this experience a bit more meaningful for them. I created this Valentine Card on a card stock paper. Students rotate around the room writing an adjective or good characteristic for each student's card. When the students return to their desk, they get to read the nice comments left by their peers. They can also color it in and decorate. I send these to get laminated and they have a keepsake of this special day. You can download the template here or click the picture. 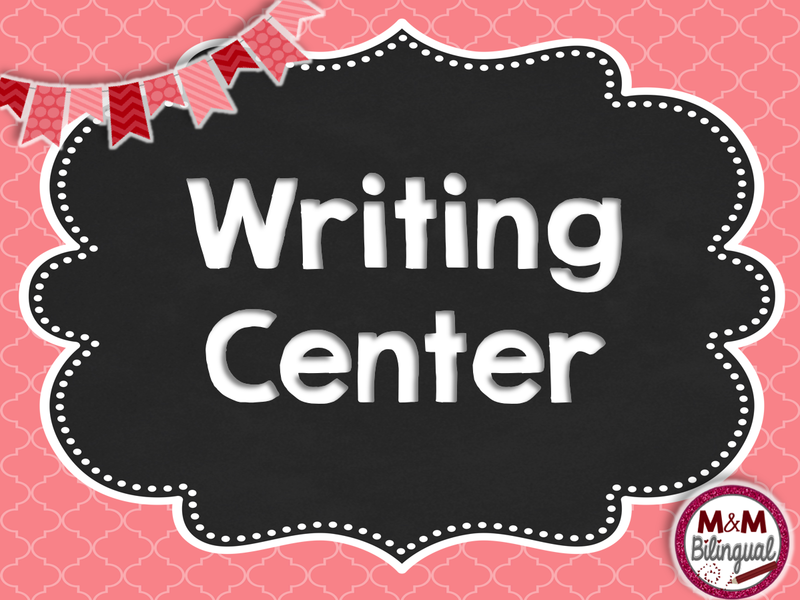 Do you like to keep your writing centers timely and fresh? 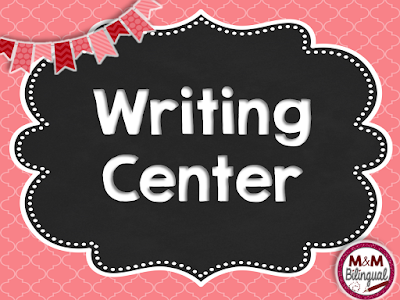 Check out this great writing center which includes: 18 vocabulary cards, lists, sentence builders, Valentine's cards, and seasonal themed paper. Click the picture or click HERE to see more details about this resource. 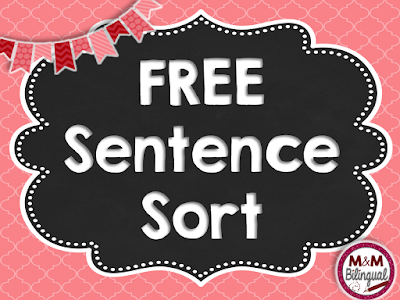 And last but not least, here's a free sample of my Valentine's Day Sentence Sort. 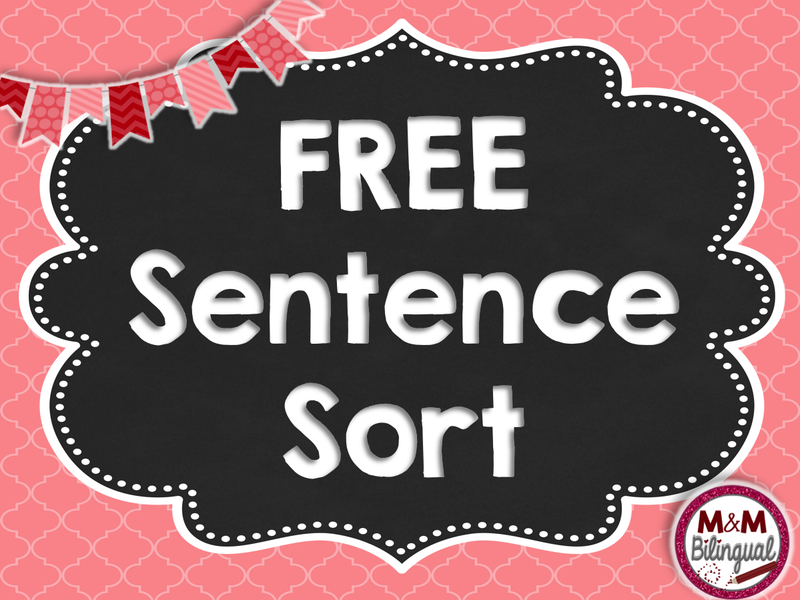 It includes anchor charts, cut/paste activities, and a sentence sort. This is just a small preview of a bigger unit you can purchase. 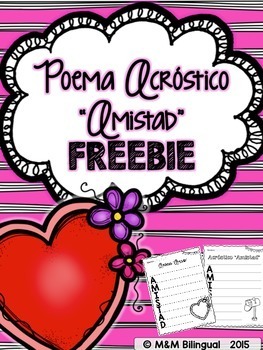 Check out the freebie here. Check out the full product here. Is there a special tradition or activity you and your kiddos have for Valentine's Day? Please let me know in the comments, I'd love to hear your ideas. Now, are you in the mood to do some TpT shopping? 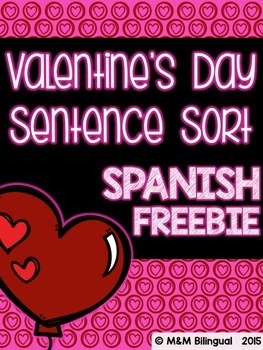 Enter below for a great giveaway my fellow Spanish colleagues and I are hosting. 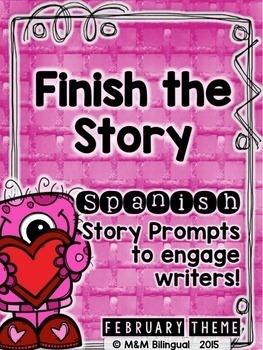 You could win $40 to spend on Valentine resources or anything else you need this time of the year!! Make sure to complete all rafflecopter options for more entries. 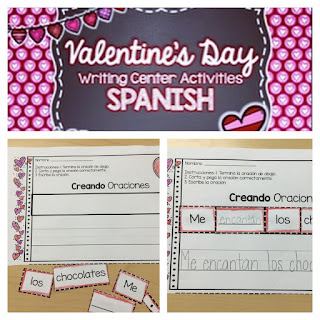 These are great ideas to encourage language use during Valentines Day... while fostering a positive environment by saying nice things about their peers! Thanks for sharing!